We have had a long and very special relationship with Hayes Green Beach, from a major renovation/new construction project completed in 2005 to transform their critical access hospital into a flexible and efficient design, to collaboration to create their truly one-of-a-kind healthpark, AL!VE. So it has been a privilege to continue working with them as they evolve with their Sparrow Health System affiliation and the Promise Project, a $9 million initiative designed to replace outdated facilities, move several services, expand the surgery department and modernize the campus. The initial phase of this project was the transformation of the entrances of the main campus. 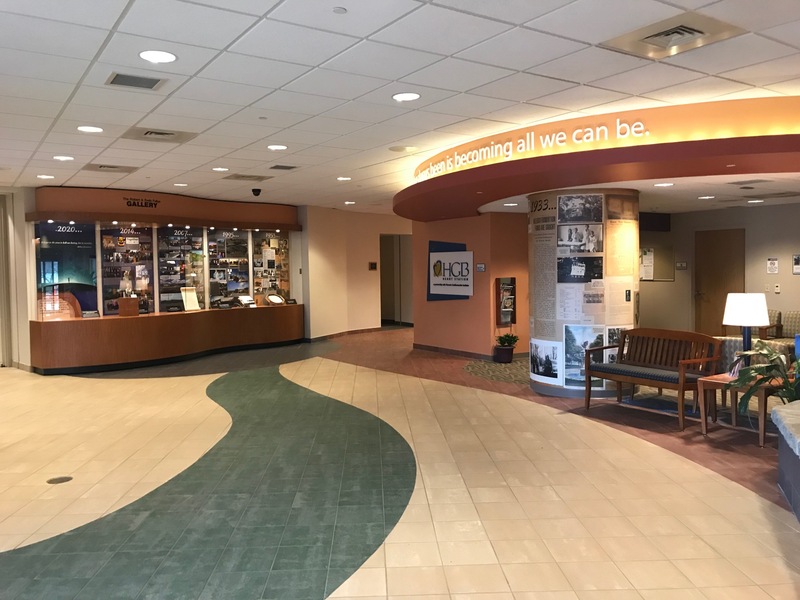 Visitors to the hospital are now greeted by Heritage Hall, a series of spaces devoted to telling the story of the hospital's 85 year history. We believe they have a truly unique and special story to tell.